Writing my column and my stories used to be done using a typewriter at the old newsroom of The Freeman. 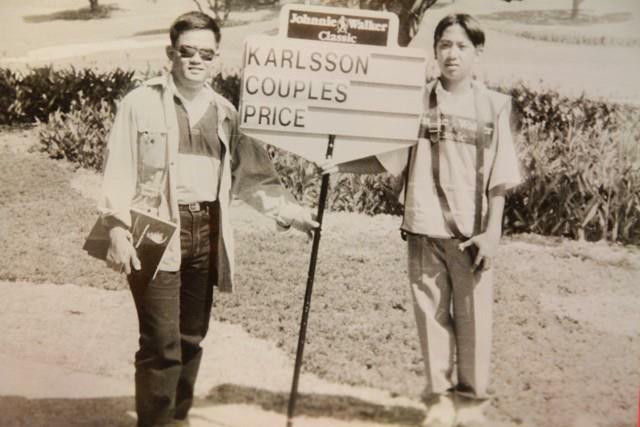 Full Point started out as a column in The Freeman, a community newspaper based in Cebu City, back in 1990 when I was a struggling sportswriter hoping to find my niche in the noble profession of journalism. I started reading the papers very early in my life and was immediately drawn to the sports page (then it wasn’t a section, just a page or sometimes even much smaller than that). I wasn’t really an athlete early on as most parents did not really get their kids into sports at a very young age when I was growing up in the 1970s. 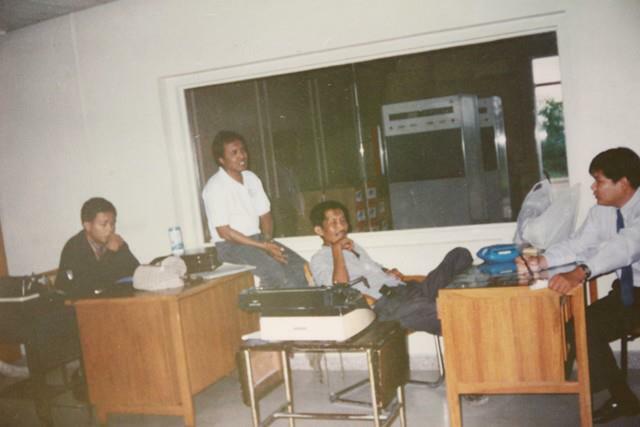 I also spent a few years with GMA-7 Cebu as field reporter and this was a scene at our newsroom in Nivel Hills. 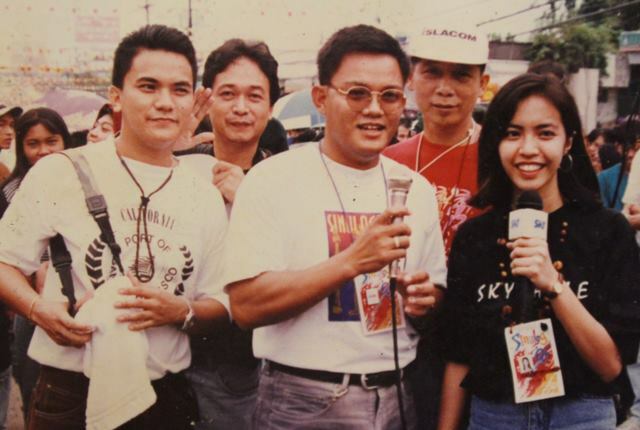 Aside from being a sportscaster for SkyCable TV Cebu, I also did a Sinulog coverage a long time ago with my former student Haide Acuña. I do not know what drew me to the sports page, but then it became the foundation of a long journalism career, which up to now I am trying to keep alive through www.fullpointcebu.com, Any Cebu Magazine, and occasional assignments from friends in Manila, who need an article or two for their publications. My first time to cover an international golf event happened in 1995 at the Orchard when it hosted the Johnnie Walker Classic. It was five years ago when my journalism career took a sudden turn when I took the job of running a golf club. I did not stop writing though, but then having no daily deadline to beat made it a bit hard to get the words flowing. On days when I miss my life in the newsroom the most, I get the urge to write. This piece is about Full Point and the reason why I am writing again after several months. When I had to come up with a name for my column in The Freeman, Mr. Juanito Jabat, who was then our editor-in-chief (a few years later I got to call him Ninong Nito), told me to come up with a name for a sports column if I wanted to write one. Full Point immediately came to mind as a tribute to an athlete’s goal of seeing victory and perfection. As an active judoka (judo player) then, my goal was to score the full point (ippon in Japanese) either by throwing my opponent or pinning him down for a specified number of seconds to earn the victory. 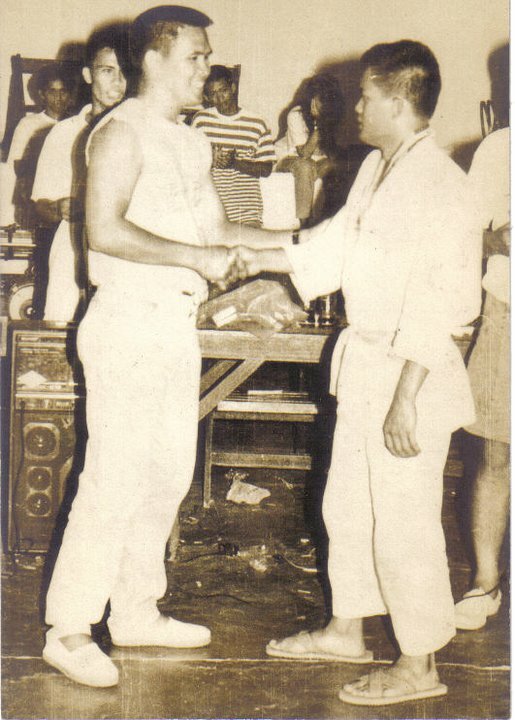 At UP Cebu we played a lot of judo and this was one of my triumphant moments as a player receiving my medal from Manuel ‘Gogo’ Roa. Like in judo, while you may score some points with certain throws or attacks, you can only end a match before the allotted time with a full point. While I try to finish work as fast as possible, I also make sure to incorporate the right technique and the application of such not only on the mats, but in life in general. At times you score only small points, but then when the match ends you still end up a winner by piling them up. 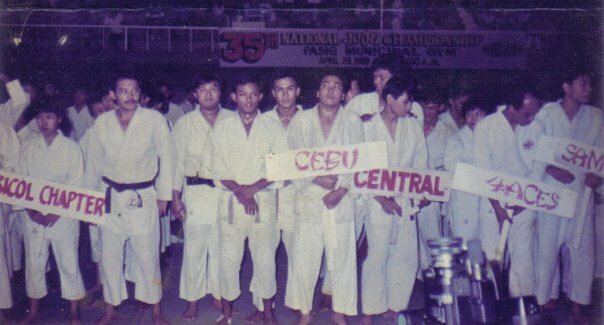 I also had the chance to carry Cebu’s colors in national judo tournaments. Full Point became my weekly and later thrice weekly attempt at being a sports columnist. 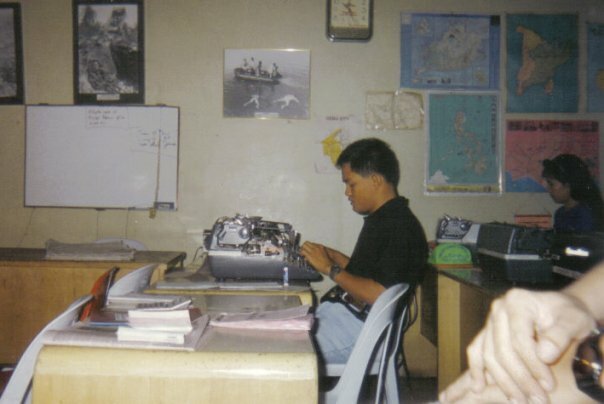 When I had to leave The Freeman when I took a new job, going online became the solution to my need for a writing sanctuary thus www.fullpointcebu.com was born with the help of my UP Tao fraternity brother Floyd Buenavente, who is also a fellow judoka and Mass Communications alumnus at UP Cebu. For five years, the website sat there with a lot of stories getting posted on spurts. I was eager when I started then I got lazy (now you know the real reason hehehe). Five years since its birth, www.fullpointcebu.com will soon be moving forward and that is something that you can look forward to. Still going for the Full Point after many years as a sports journalist. The website will continue to focus on Cebu sporting events as well as other newsworthy activities. It shall also become the venue for campus journalists to hone their skills and for communities to have their small events recognized through a virtual sports media venue. 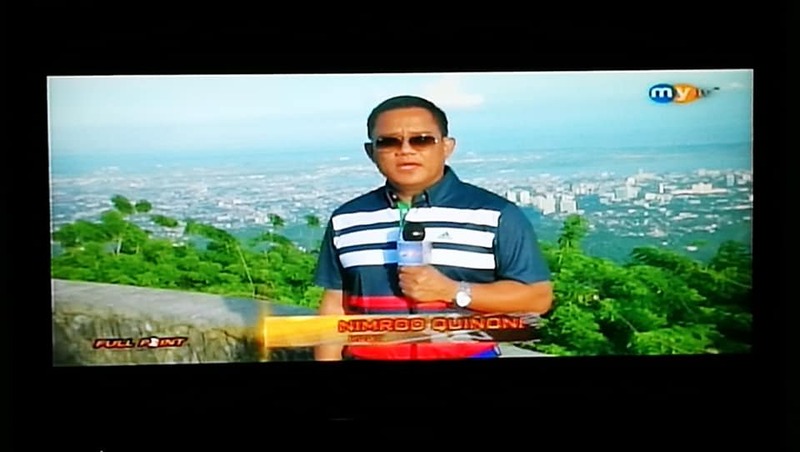 Full Point: The Cebu Sports Show, which airs over myTV channel 30 on SkyCable TV Cebu will also continue and I hope it will grown bigger along with the website. Full Point: The Cebu Sports Show airs over myTV on channel 30 of SkyCable TV Cebu. More will be coming very soon and I hope that those of you who were with me from the start will continue to support www.fullpointcebu.com as we transform into something bigger.